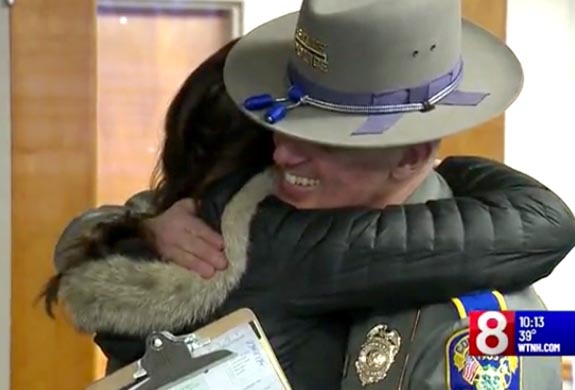 The story began in mid-February, when Massachusetts couple Peter and Kimberly Reggiannini pulled into a rest stop along superhighway I-95 in Connecticut. Kimberly had taken off her diamond wedding rings to put lotion on her hands during their ride from New York City to Boston. The rings were safely on her lap when the couple stopped at a service station, but fell to the ground when she opened the door. 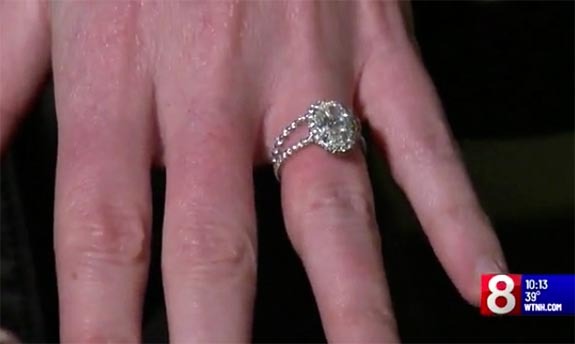 Kimberly didn’t realize the rings were gone until they arrived in Boston nearly three hours later. 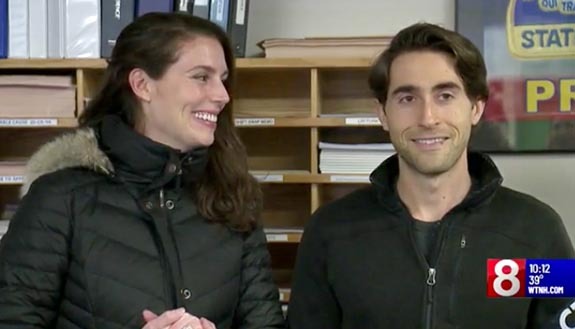 Panicked, the couple called the Connecticut police and drove 143 miles back to the Branford rest stop. Sadly, the rings could not be found. The thought of losing her precious rings haunted Kimberly during the weeks that followed. “Every time I would look down and see that the rings weren’t there it was just a reminder of what had happened,” Kimberly told News 8. Peter added that Kimberly would wake him up in the middle of the night to tell him she was thinking about the rings. Meanwhile, back in Branford, Sergeant Robert Derry of the Connecticut State Police, decided to take the case. Having been married for nearly 22 years, Derry understood the real significance of the rings. Derry inspected the site where the rings were lost and noticed the station owners had installed a number of security cameras. He was able to access the footage and patiently reviewed hours and hours of material. Then, finally, he found the smoking gun. The sergeant witnessed a customer dropping a glove and discovering the rings on the pavement. The woman pocketed the rings and drove off with them. 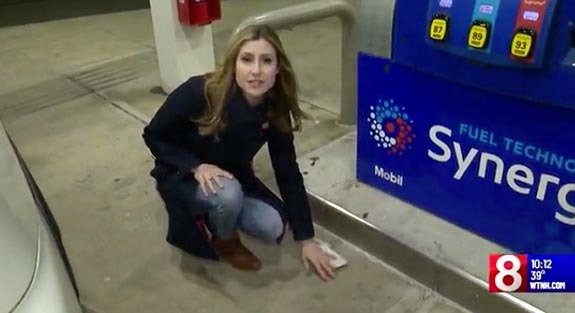 A reporter for News 8 showed her viewers exactly where the rings were scooped up. Derry was able to capture the car’s license plate number, which enabled him to identify the driver. After a visit with the woman, the officer had successfully retrieved the rings. The woman told the officer that she kept them because she believed the rings were costume jewelry. On Wednesday of last week, Peter and Kimberly were reunited with their precious keepsakes and got to meet their hero at the same time. In an emotional display, Peter slipped the ring back onto Kimberly’s finger. “I can’t put it into words. It’s just really wonderful,” Kimberly told News 8. Kimberly showed her gratitude by giving the sergeant a big hug. 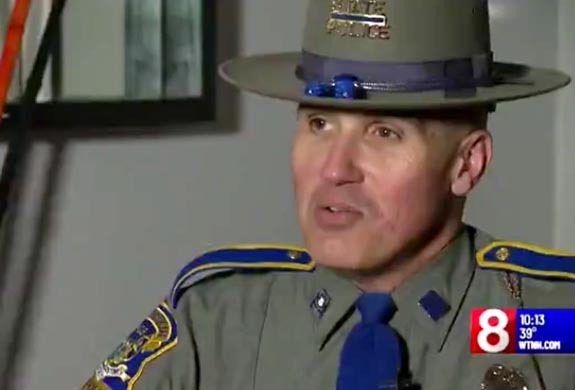 “When something like this happens and it has a positive ending, it makes you feel good about the job that we do and the career I have undertaken for the past 29 years,” Derry said.